Basmati Rice is appreciated around the world for being tasty with a beautiful appearance. 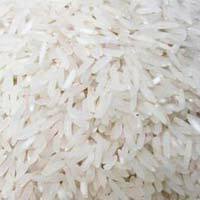 We provide Basmati Rice having its origins in India, Pakistan and Vietnam, which is repeatedly demanded by clients in the international market. Appreciated for its mesmerizing aroma and incredible taste, our Basmati Rice is guaranteed to be of matchless quality.